Explore sandy beaches and dunes: observe and question, predict and test, classify and categorize, explore and imagine! Learn about tides and waves, and how beaches form and change. Explore how sand is made and where it comes from, and then examine different sand and learn how the materials, colors, grain sizes and grain shapes tell the story of the beach. Learn about animals that live on and in the sand, and about shells and who makes them. 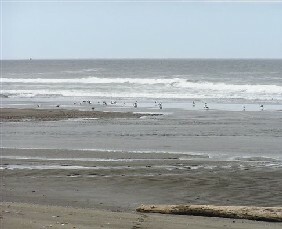 Study beach hoppers, hermit crabs, shorebirds, seals and sea lions. Where do people fit in? Learn about threats to our beaches and how we can care for these amazing places.